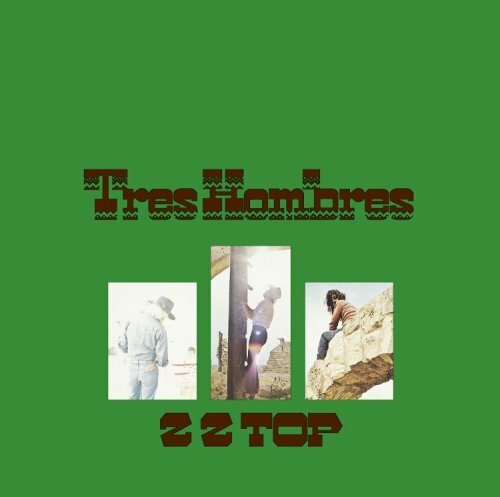 One of the greatest disappointments of my musical life was the day I bought the ZZ Top album Tres Hombres on CD. What I heard on that disc wasn’t really the same album that was released on vinyl; it had been remixed and re-effected to make it sound more like their current post-Eliminator sound. In its new form the whole album is bathed in a thick reverb that hides a lot of the detail. The original sounds like the band are in the room with you; the new version sounds like they’re playing in the tiled bathroom next door. Possibly inside a locked filing cabinet. Hopefully with a sign on the door saying “Beware of the leopard.” I took that CD straight back with a horrified look on my face. Eventually I did buy it again and learned to live with it; but recently I heard the original again for the first time in over a decade. I nearly fell over. Then I heard the original mixes of ZZ Top’s First Album, Rio Grande Mud and Tejas and I nearly wept. The difference is staggering. The old vinyl albums make the new CD mixes sound blurry. The intro to Brown Sugar has audible picking sounds that are obliterated on the CD and there’s a clarity to the sound that’s been completely lost in the new version. I have to assume that this was done to make this material sound more modern, but looking at the prices these old vinyl records fetch on eBay, that may not have been entirely necessary. In any event, if you want to really hear these albums, track down the originals. They really are worth the effort.